Heroes, in the simplest term, are a group of people. To answer questions about any group, we first must try to understand the meanings of the title used to describe them. It is immediately apparent that Webster understood the power of the wisdom of three. In other words, to be hero / heroine one must possess and reveal three character traits at the same moment in time. The Law of the Hero! First, they must act in a selfless manner. Being a warrior requires putting the cause before the safety of one’s self. Second, the person must be noble of character. To be noble is to be of high moral character; having no one above you. Third, one must demonstrate great courage when the time dictates the need. Who was one of your childhood heroes / heroines? 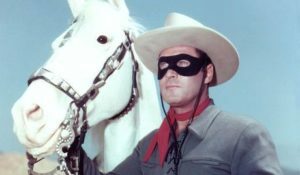 As a young man the Lone Ranger was one of my earliest heroes. I grew up around relatives who were cowboys; I had an interest in horses and looked up to people who wanted to help others. Every week my Dad and I would watch this ordinary man who wore a mask overcome all odds to help people battle against the criminal elements of the times. He never asked for money, sought praise or backed away from doing what was right. His examples set the standards for millions of people all around the world. 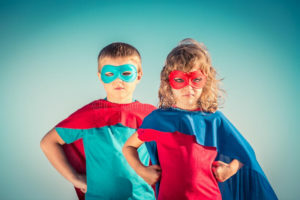 Who are the heroes / heroines of today’s children? Do they meet the standards of selflessness, noble of character and the courage to act appropriately when times are tough? The conclusion of the group I met with was that as a society and in our personal, professional and spiritual lives, we have unconsciously allowed ourselves to be moved away from the definitions that matter most. We no longer pay attention to the truth. Instead, we are easily swayed toward a relativistic mindset. The perceived heroes / heroines of today are not viewed as selfless individuals living morally honorable lives nor are they people courageous enough to stand up for the truth. Just the opposite seems to be present in most cases. Today’s examples, for the most part, are self-centered and close minded. In some cases they brag of living an immoral lifestyle. When courage is talked about or demonstrated it is to support causes that go against family values. We did all agree that heroes and heroines are very important to any society. These individuals bring communities together in tough times. They offer examples of a life to be followed and in spite of the fear that might be present; they challenge each of us to do what is right for the good of someone else. We each left the meeting wanting to live in accordance with the Law of the Hero.